That mass protest on Jan. 21 — President Trump's first full day in office –- saw huge crowds of demonstrators converge on the nation's capital, and other rallies in cities across the country and the world. Ai Jen Poo, who directs the group, which advocates for housekeepers, elder care and child care workers, says it's a vital labor pool that's too often grossly underpaid and undervalued. "This is an opportunity for women, like the low-wage workers that I work with, to join together with women everywhere to say 'women power this economy,' to have that be visible and recognized and to think together about how we might shape the future with that power." "A Day Without A Woman" gained momentum in reaction to President Trump's policies and comments on women — especially immigrants and Muslims. But planning for the strike predates the Trump administration. Inspiration came from International Women's Day events outside the United States, where the day is more widely observed. Last month, immigrants and supporters participated in a "Day Without Immigrants." Some schools and businesses were forced to close because of a lack of workers or to open with skeleton staffs. Some closed to support their employees or held votes to decide whether to open. One unionized group of workers showing interest in the women's protest are school teachers: 76 percent of public school teachers in the U.S. are women. Some conservatives on social media are calling the women's strike vague and self-serving, and say it favors wealthy women. Organizers are calling on all those who can't take time off for the protest to wear red in solidarity. Today is International Women's Day. And some women in the United States are marking it by joining a protest called A Day Without A Woman. It is a strike aimed to highlight the economic power of women as well as ongoing problems like discrimination and pay disparity. 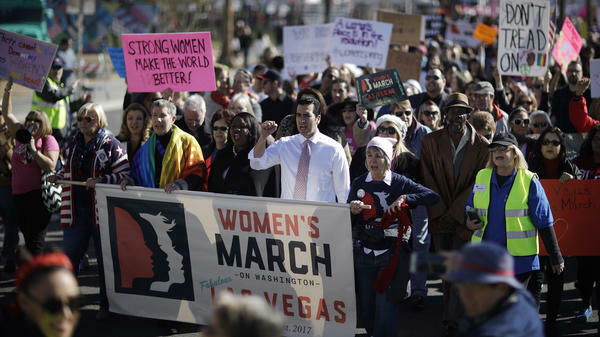 As NPR's Eric Westervelt reports, organizers are hoping to build on the success of the Women's March. ERIC WESTERVELT, BYLINE: That mass protest January 21, President Donald Trump's first full day in office, saw more than a million demonstrators converge on Washington. A few million more held rallies in cities across the nation. But today's protests will be more diffuse and smaller scale. There's no specific policy goal per se. The effort is to underscore broad goals of equity, justice and human rights for women. Women are encouraged to take the day off from paid and unpaid labor and not to shop except at women and minority-owned and small businesses. The National Domestic Workers Alliance has endorsed the strike. Ai-jen Poo directs the group which advocates for housekeepers as well as elder care and child care workers. She says it's a vital labor pool that's too often grossly underpaid and undervalued. AI-JEN POO: And so this is an opportunity for women like the low-wage workers that I work with to join together with women everywhere to say women power this economy, to have that be visible and recognized and to think together about how we might shape the future with that power. 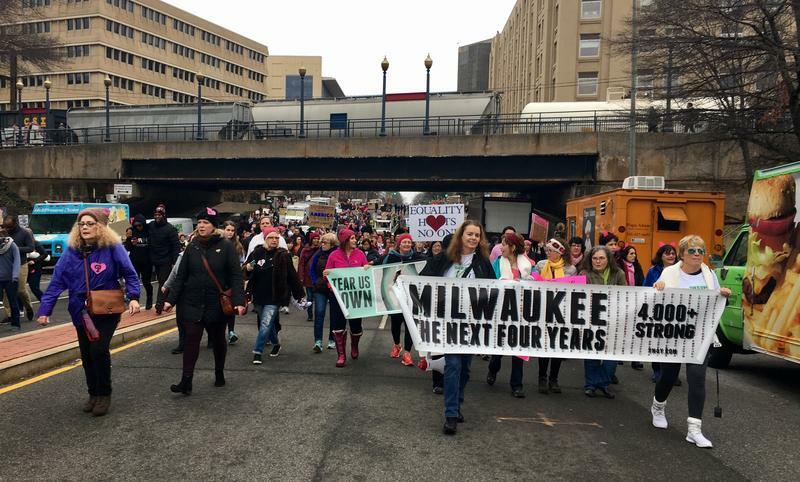 WESTERVELT: A day without a woman gained momentum in reaction to President Trump's policies and comments on women, especially immigrants and Muslims. But planning for the strike predates the Trump administration. 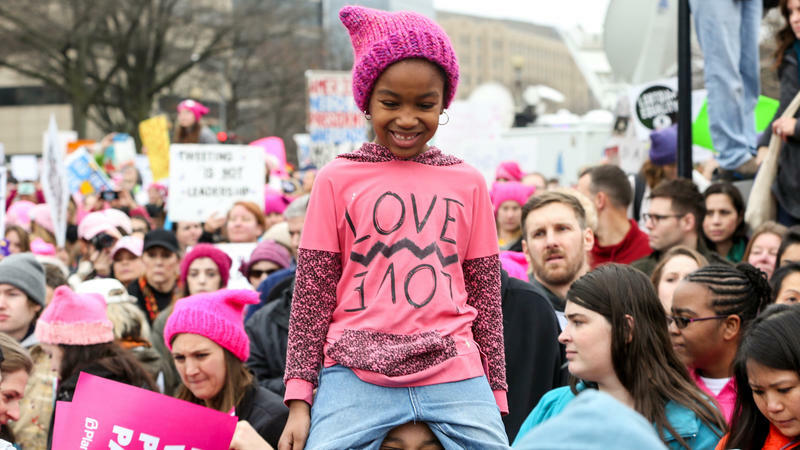 Inspiration for organizers came from International Women's Day actions overseas and the recent Day Without Immigrants protest. Activist and writer L.A. Kauffman. L A KAUFFMAN: It's a model of how to use the tool of mass noncompliance in an era when labor movements have been declining for a long time. WESTERVELT: One unionized group of workers that might buck the trend today is the 76 percent of public school teachers in the U.S. who are women. Faced with large numbers of staffers planning to take the day off for the strike, the school systems in Alexandria, Va., and Chapel Hill, N.C., told students to stay home today. Some conservatives on social media are calling the strike vague, self-serving and say it favors wealthy women. Organizers are calling on all those who can't afford to take time off today to wear red in solidarity. [POST-BROADCAST CORRECTION: In the audio of this story, we say there were more than 1 million demonstrators in Washington, D.C., on Jan. 21. In fact, city officials and researchers have said the crowd size was less than that – perhaps 500,000 to 750,000.] Transcript provided by NPR, Copyright NPR.